Salad spinners are one of the more divisive kitchen tools out there. On one hand, they're incredibly easy, efficient, and useful. On the other hand, they're a single-use tool that takes up a lot of space. As much as I appreciate the usefulness of salad spinners, I simply don't have kitchen space for a bulky appliance that only gets used occasionally. Instead, I dry my greens with things that I already have in the kitchen. There are numerous different ways to drain lettuce or other greens without a salad spinner, but I've found that these three work best. Be warned: this way of draining greens will spray water everywhere. Some people do it outside or in the bathroom; however, I find that it's best to do it right next to a friend or family member... and subsequently splatter them with veggie water. 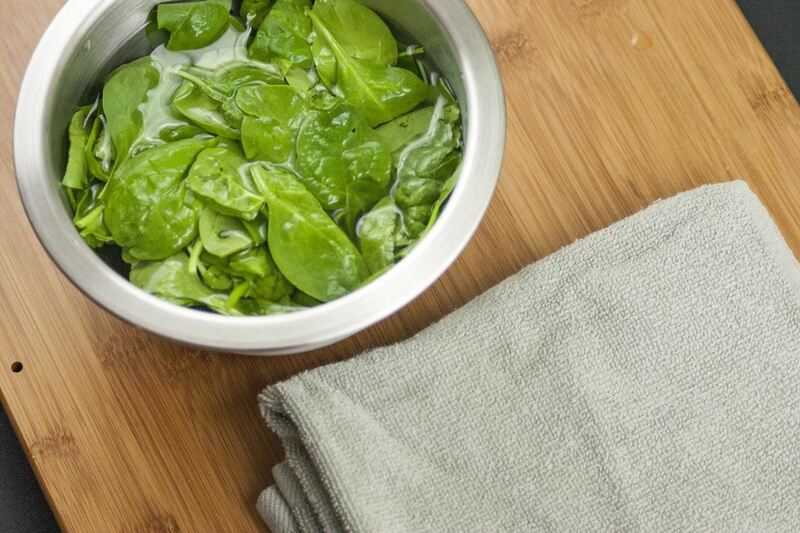 Lay out a dish towel or tea towel, then place your wet lettuce (or in this case, spinach) in the center. 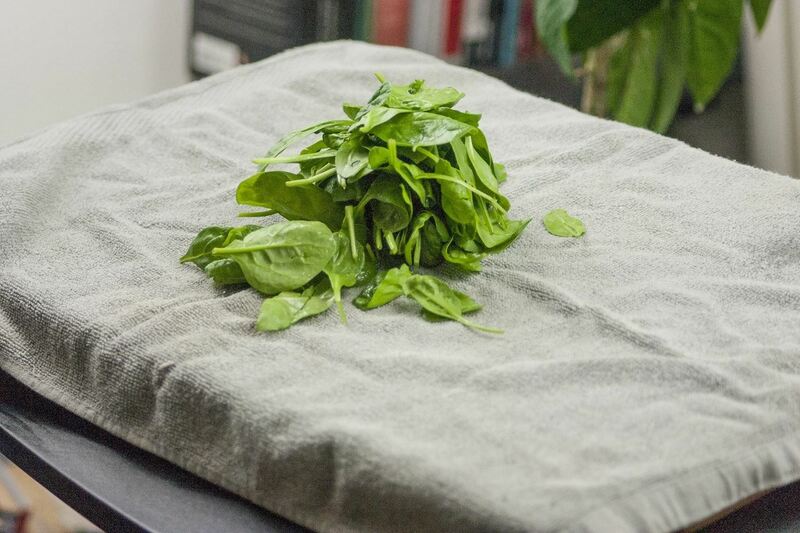 Grab all 4 corners of the towel and gather them in the center over the pile of lettuce. Hold the towel like it's a garbage bag, with the ends gathered in one hand, then swing it around like a lasso. 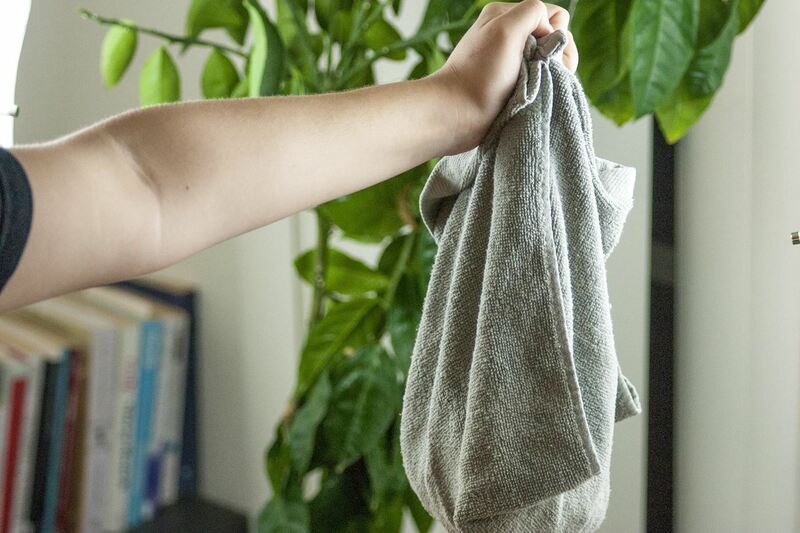 During this motion, the water will fly off of the leaves: some will get absorbed by the towel, and the rest will spray everything around you. 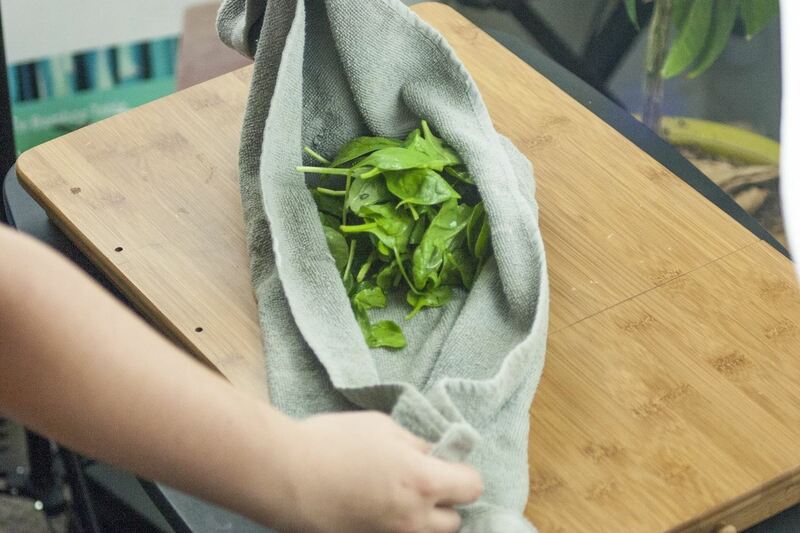 If you don't have a kitchen towel handy, you can also put the lettuce in a pillow case. If you go this route, I highly recommend using a clean pillow case. The drip method isn't the fastest way to drain greens, but it is the easiest. 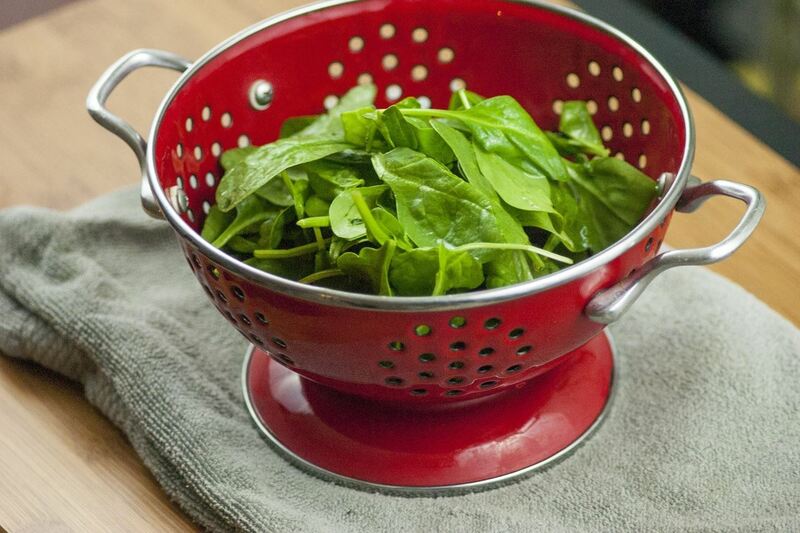 All you need to do is place your wet lettuce in a colander and set the colander on a towel or plate; the water will drain through the colander holes because of gravity. By the time the rest of your salad fixings are done, your lettuce will be good to go. If the above methods are either too messy or not dry enough for you, this one is sure to be the winner. 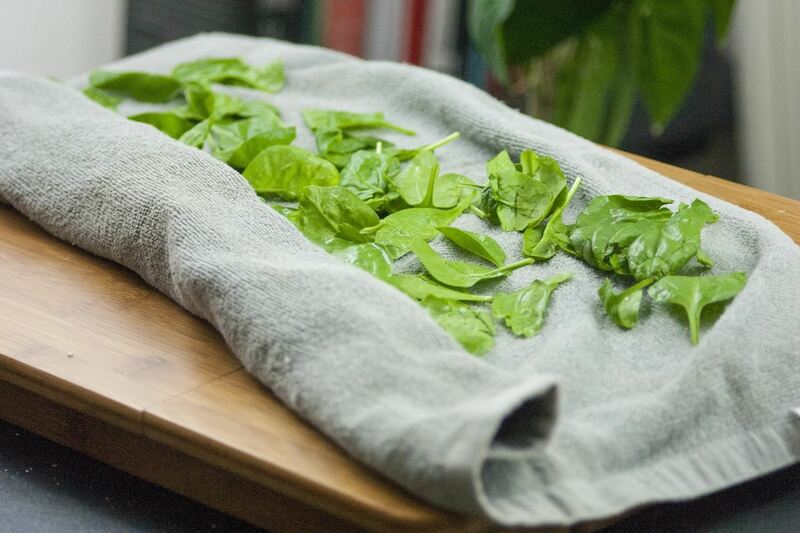 For the pat dry method, start with a dish towel or tea towel and spread your greens over it in a single layer. Roll the towel like you would a cinnamon roll, starting with the edge closest to you and rolling away from you. 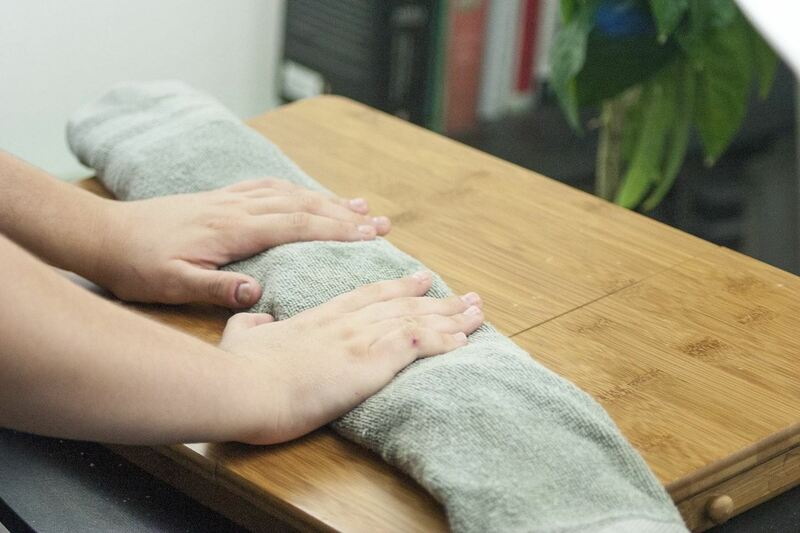 Once you've completed the roll, gently pat it with your hands. Don't apply too much pressure or you'll damage the greens. Unravel the roll and you're good to go! 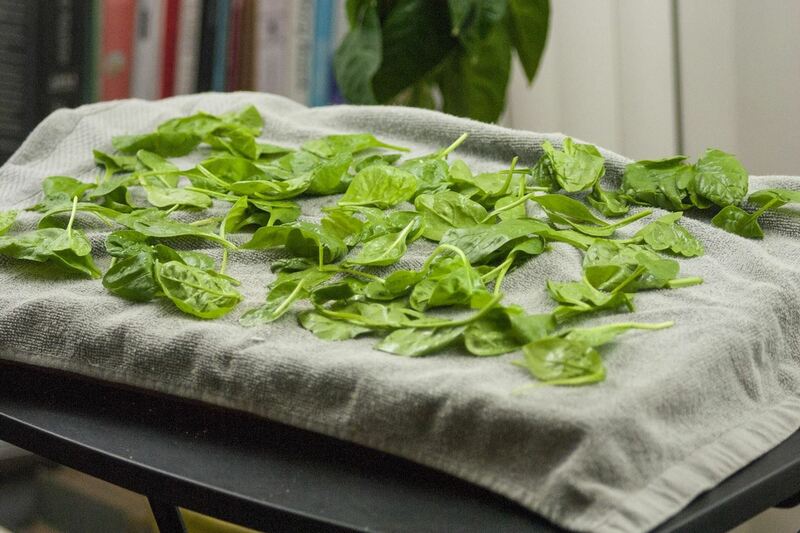 Any of these methods dry your lettuce (or spinach) efficiently—and without taking up your precious kitchen storage space or wasting precious resources. And let's be honest: twirling a towel like a lasso is way more fun than using a salad spinner, anyway. Do you own a salad spinner at home or do you use a different method to drain your leafy greens before eating them? Share your tips and tricks with us in the comments.